What Is Tribal Mind? How Does It Influence Your Life? 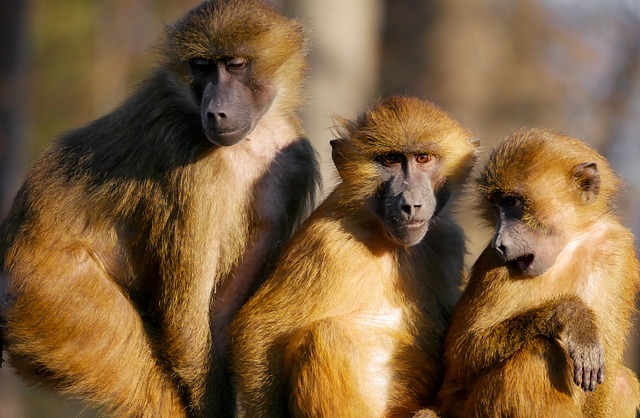 Have You Ever Heard Of The Hundredth Monkey Phenomenon? There are several versions of this scientific research project and quite typically, human view falls divided as to the outcome of this research. The common version goes like this: one little female monkey began washing her potatoes in the ocean in order to get the sand grits off of her food. Certain other monkeys in her group followed suit. When monkey mass-mind energy became vibrationally great enough, suddenly on several islands surrounding them other monkeys began the same behavior – even though the groups had no direct contact with one another. This was deemed ‘The Hundredth Monkey Phenomenon’ by the researchers who witnessed them. Following theories suggested that when an invisible idea from one monkey became magnified by group mind, it was received by other group mind in surrounding areas. In further researching this study, we find that the original story pales in comparison of the human grapevine stories that abound. However, it is our guess that ‘consciousness’ in all species evolves not just through mass thought, but through individuated physical and behavioral interaction with others. The consciousness of these sharing individuals then expands according to each individual’s innate ability to ‘receive’ more information. This means that not all evolve at the same time but rather, the evolving souls who are awakening, take on a subtle leadership role in establishing expanded perception by ‘demonstration’ of expanded beingness. From a metaphysical point of view, all species evolve in the same manner, including humans because we are all energetically connected to one another. As one human being shifts in consciousness, so too do certain others around him. Ultimately and multiply-applied throughout the globe, this is how humanity slowly evolves. Authentic psychic research nurtures the idea that expanded reality is a very natural and real next step in our evolutionary process. As we begin to educate ourselves regarding our own sensitivities and intuitive abilities, we also begin to redirect our thoughts and refocus our energies toward manifesting in the truest sense, our deepest desires. When everyone can begin to see that psychic gifting is a divine and innate capability in each of us, we will automatically change our distorted behaviors toward one another because we will instantly understand how our thoughts and actions toward all others directly affect our own experiences. The Hundredth Monkey Syndrome merely enables us to look at the invisible aspects of our selves that ‘drive us’ to act and outwardly behave in certain ways. When we become aware of the energies we are emitting toward others and our surroundings, we begin to consciously monitor those energies in more masterful ways. As each comes to understand the nature of human sensory gifting in relation to the bio-energetic body, each comes to a place of self-empowerment. To be clear, focused and aware of how one sends and receives energy is to be a master of one’s own destiny. It sets soul creativity on a path of true soul borne pioneer ship rather than loosing it to a sea of chaotic and limiting linear minded tribal consciousness. Tribal mind is a very real energy that has movement. Mass hysteria during wartime or mass panic during natural disasters such as the Tsunami and Katrina are common examples of the energy of tribal mind when it moves en force and in one direction. As the energy builds, the bio-energetic bodies of each human being engulfed in it begins to correspond to that movement. Fear energy, chaos and panic become very real emotions felt and experienced by many. As more and more people begin to learn how their unique souls are mass triggered by certain global events, they can begin a process of dis-egaging from tribal mind even when seeming disasters strike. This process of dis-engagement enables a soul to walk through situations that may appear difficult to others, but may in fact, not be difficult at all. This is the path of guruhood that many millions are beginning to embark upon via methods for retraining the physical body to remain calm and centered, no matter what. Such methods as yoga, meditation and rebirthing/breath techniques help in stabilizing the bio-energetic bodies so they are not so easily shifted by tribal mind.